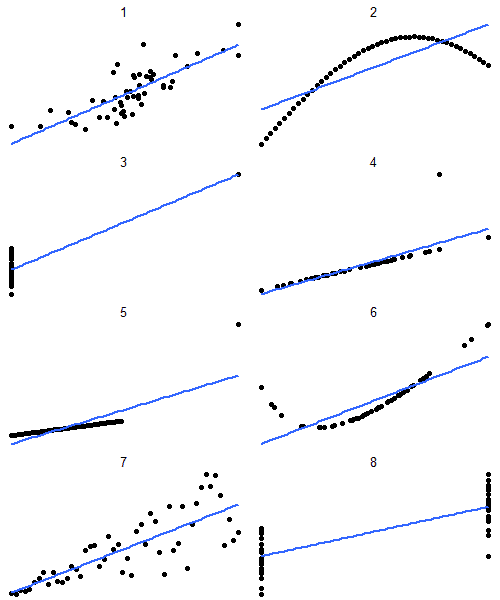 Econometrics By Simulation: The importance of Graphing Your Data - Anscombe's Clever Quartet! Francis Anscombe's seminal paper on "Graphs in Statistical" analysis (American Statistician, 1973) effectively makes the case that looking at summary statistics of data is insufficient to identify the relationship between variables. He demonstrates this by generating four different data sets (Anscombe's quartet) which have nearly identical summary statistics. His data have the same mean and variance for x and y, same correlations between x and y, and same regression coefficients on the linear projection of x on y. (There are certainly additional summary statistics less widely reported such as kurtosis or least absolute deviations/median regression which were not reported which would have indicated differences between the data.) Yet even with these differences, without graphing the data, any analysis would likely be missing the mark. I found myself easily convinced by the strength of his arguments yet also curious as to how he produced the sample data that fit his statistical argument so perfectly. Given that he had only 11 points of data, I am drawn to think he played around with the data by hand till it fit his needs. This is suggested by the lack of precision on the statistics of the generated data (Anscombe's quartet). Figure 1: Graphs 1-4 are recreations of Anscome's Quartet. 5-6 are new. Figures 1-4 are recreations of Anscombe's Quartet. Figure 1 is what we are often times thinking our data should look like in our heads. Figure 2 is a situation in which there is a nonlinear relationship between x and y which should be examined. 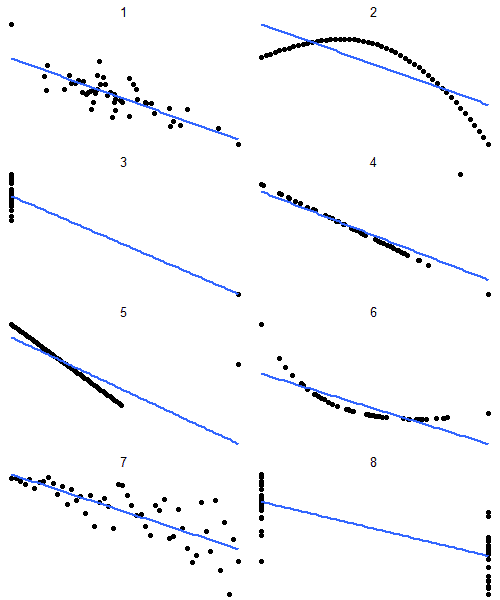 Figure 3 could present a problem since there is no variation in x except one observation which drives all of the explanatory value of the regression. Figure 4 is similar except now there is variation in x and in y. However the relationship between the values is distorted by the presence of a single powerful outlier.